The Level of Commission is determined Once the marketplace will approve your profile. All transactions are paid through Electronic Funds Transfer within 10 days of being confirmed as shipped by sellers. For online purchases, the return/exchange period begins on the date the order is delivered. There are 2 different return policies according to you order Marketplace or Best Buy for Business product. Marketplace returns’ period and conditions policy are not the same according to your product category. For best buy for business returns, There is a certain amount of flexibility for seller to be able to set returns policy, but certain elements – such as number of days to return products and a limit on restocking fees – will be enforced. You decide your own shipping policies and set your rates using the Best Buy Marketplace platform. You can charge any shipping fees you want – however, it is highly recommended to keep shipping fees as low as possible to increase sales. The buyer won’t accept any additional fees like custom fees or any other fees. 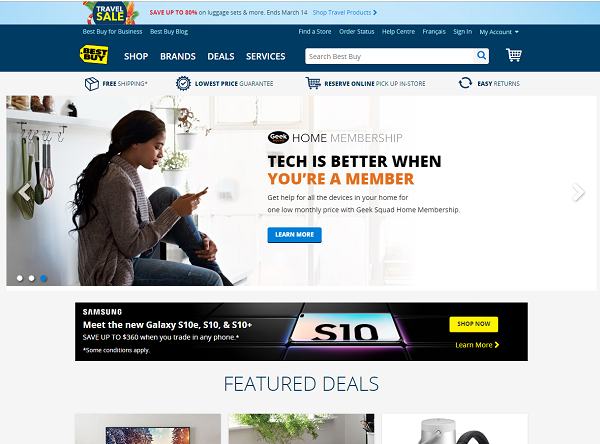 Bestbuy can suspend your account anytime if they consider that your performance or if your product selection violate their general rules.